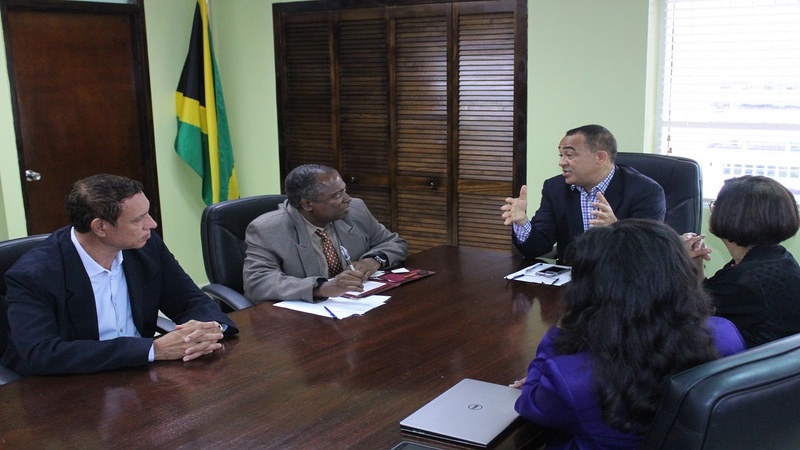 Health Minister Dr Christopher Tufton (centre) in discussion with (from his right) Dr. Kenneth James, public health consultant; medical microbiologist Dr. Orville Heslop; national epidemiologist Dr. Karen Webster-Kerr; and Permanent Secretary Sancia Bennett Templer at the Ministry of Health recently. 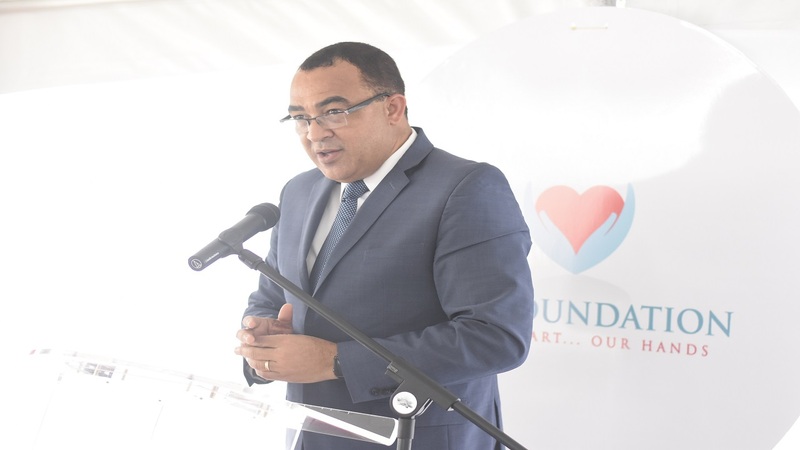 Health Minister Dr Christopher Tufton has commissioned a comprehensive study of the health complaints of workers at the Cornwall Regional Hospital (CRH), to be marshalled by a multidisciplinary team of researchers from the University of the West Indies. “This work will allow a clinical assessment of the occupational health and safety issues that have emerged and concerns raised related to the air quality challenges at the CRH. We are committed to ensuring that during these difficult times, addressing the restoration of the hospital, while preserving the services of the hospital, both the interests of patients and staff are fully considered,” the minister said in a news release on Tuesday. “The study team will draw on the necessary expertise as well as interact with the staff of the hospital. The results and recommendations of the study will be used to determine any follow up course of action. It is also hoped that lessons from this experience will be used to improve policy for better health care management going forward,” he added. Workers at the hospital have reported numerous health problems to the staff clinic including rashes, coughing up blood, weakness in the limbs and difficulty standing among others. This, as air quality issues and a serious mold infestation problem have dogged the biggest health facility in western Jamaica. 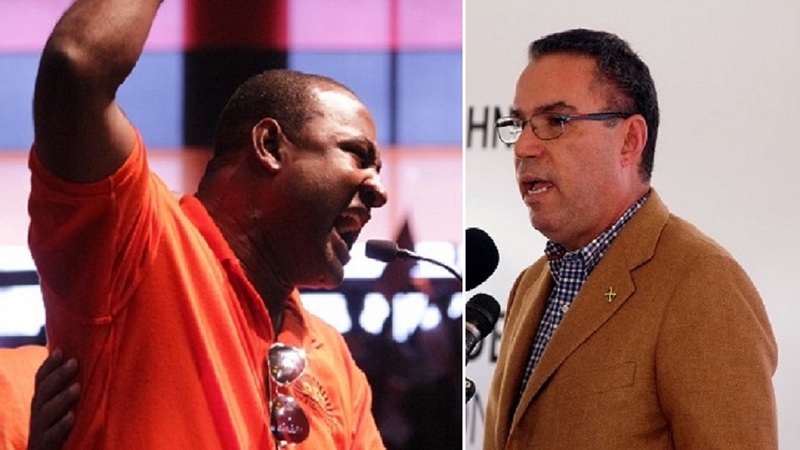 According to the Ministry of Health, a working group led by Dr Kenneth James – public health consultant and lecturer in the Department of Community Health and Psychiatry at the UWI – has already developed the approach to the study. - National epidemiologist Dr. Karen Webster-Kerr. Investigations, according to their design, are to be done in two phases, involving both qualitative and quantitative data collection and analysis – with the public updated on the progress throughout the life of the research. “We believe that the approach, led and implemented by the UWI faculty, undergirded by sound epidemiological study design and co-opting expertise as needed will ensure the rigour of the results,” noted Dr Webster-Kerr. Phase one is to identify the precise complaints and will involve the engagement of stakeholders and key informants. Data from the past two years, collected through ongoing surveillance at the CRH staff clinic, will also be analysed and potential risks contextualised through a comprehensive scientific review of the literature pertaining to currently known effects and risks associated with likely putative and reported exposures. A quantitative survey of the approximately 1,300 staff will also be done to capture data on reported symptoms, occupational and medical histories. “This baseline history and clinical examination will serve as the anchor and initial step of a tracking study of the staff over time. The parametres, indicators and variables to be tracked will be determined by the likely or reported exposures of interest and findings of the literature review,” said James. Under phase two, individuals will be tracked over time with respect to likely and known outcomes associated with likely exposures. Periodic assessments will be done initially one year after baseline assessment and then, as appropriate, at years five, 10, 15, and 20 post-baseline. Incidence of outcomes of interest tracked will be compared to similar outcome data available for the general population.